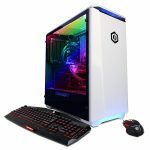 CyberPowerPC Gamer Master GMA6400CPG Review, A Ryzen Desktop That Is Worthwhile? 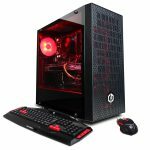 It’s time to review the CyberPowerPC Gamer Master GMA6400CPG desktop gaming PC since it seems to be a popular desktop on Amazon right now. We’ll be taking a look inside to see if the hardware is worth the price. Whether you’re buying a pre-built or building your own gaming PC you need to understand how much each part is worth and then you can know if the final price is at a fair point. For the most part, pre-built PCs have a big gap of profit when comparing the prices of the parts to the PC itself but in today’s market, pre-built PCs make a lot more sense to consider buying over a custom PC build. It’s about that time to review the CyberPowerPC Gamer Xtreme GXIVR8020A4 model since it seems to be selling well on Amazon, it boasts having amazing hardware and it is at a decent price point. The only way to know is to take a look inside for yourself to see what you’re really getting with this PC. 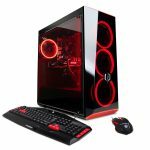 Previous reviews have been done here with other CyberPowerPC computers, more specifically with the Gamer Xtreme GXiVR8020A2 model – this new model is an upgrade from the last iterations since new hardware has been released since then. 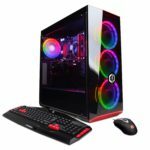 This is great because if this PC follows suit with the past then that means that you’re getting very close to having the right amount of power per dollar spent which is hard to find with most pre-built gaming PCs. 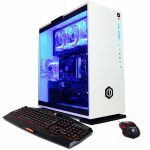 CyberPowerPC Gamer Panzer PVP3020LQ Review, Is It Entirely Worth Getting? Let’s review the CyberPowerPC Gamer Panzer PVP3020LQ! It’s a popular desktop right now and it seems to have a lot to offer… But is it actually worth getting? Just because a PC costs a lot of money doesn’t always mean that you’re going to get what you’re paying for. The specs with the PVP3020LQ model from first glance add up but it’s always best to take a look at the specifics and compare it to what else is able to be done at this price point. 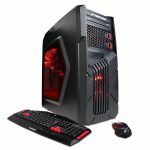 CyberPowerPC Gamer Xtreme GXi10200A Review, A Gaming PC That Delivers? It’s time to review the CyberPowerPC Gamer Xtreme GXi10200A desktop since it’s a new top seller on Amazon that has some of the newest hardware inside. When you’re looking for a pre-built today you have to make sure that the specs included match up with the price that you’re paying because 9 times out of 10, you’re overpaying with a pre-built since you’d be able to do a build of your own with the same hardware for less. That’s what this post will be all about – whether or not it’d be a better idea to do a build or if this PC delivers on the performance for what you pay.